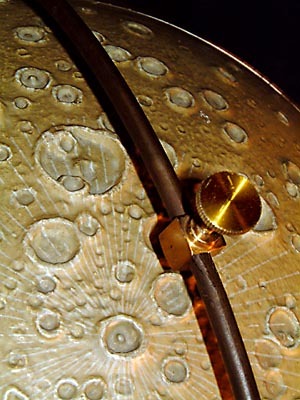 Diameter 36 cm. 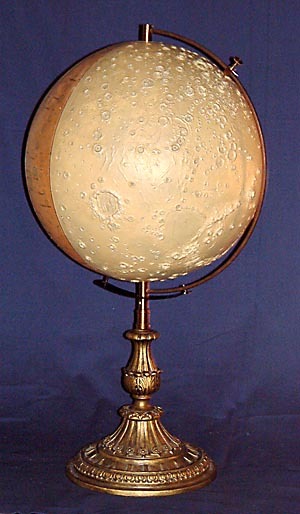 Relief moon globe on decorated brass piedestal. 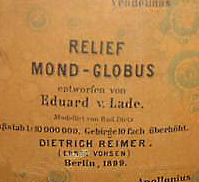 Eduard Lade was a amateur astronomer and educator in the physical sciences. 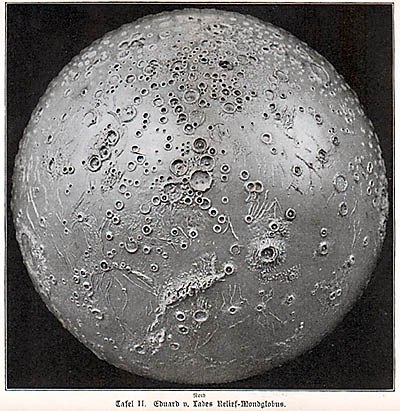 Far side of the moon has, corresponding to the visable side, crater names printed. 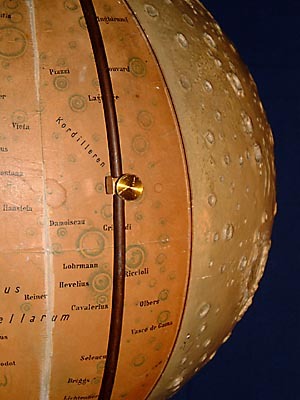 A special mechanism is attached to the globe that makes it easy to locate any of the labeled craters on the front relief side.